Workplace Diversity & Inclusion can revolutionize businesses in terms of innovation and creativity. This week our #Diversity Series discusses work practices that will help companies to reach a diverse work environment. Diversity and Inclusion are two essential words for companies looking to achieve innovative results. 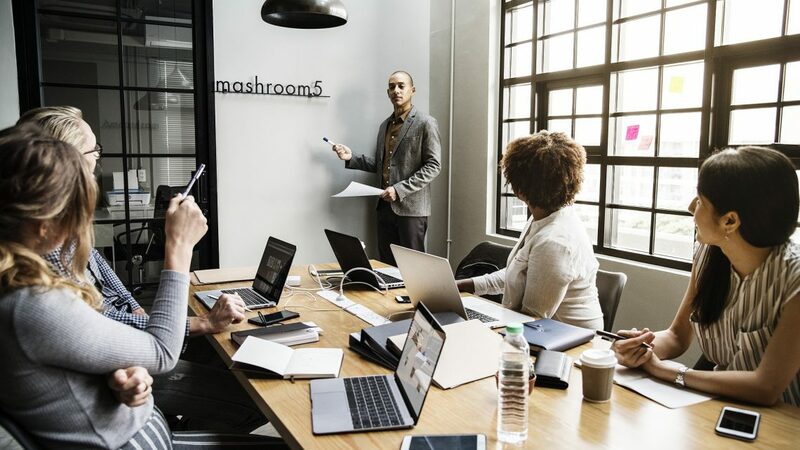 It is no coincidence they are the favorite words by global CEOs of companies who have implemented strategies effectively and are reaping the benefits. If you have diversity and an inclusive work environment, the bigger your chances are of getting groundbreaking insights into your business. The logic is simple: same people, same ideas. You won’t get too far if everyone around you shares the same point of view. Considering global businesses and the huge set of customers out there, diversity is a huge competitive advantage. When it is implemented correctly in your work culture and in your strategic thinking, the results are endless. However, diversity and inclusion strategies can be difficult to implement. We already analyzed here the basic steps to overcome our biases. We must first raise our awareness as individuals to articulate collective thinking. Everyone must do their part to sustain an inclusive work environment and leaders must be the ones to ensure it’s put into practice. Quotas are a misunderstood concept. Many companies are hesitant to implement quotas system. It is understandable but it is an effective fast way to change your diversity base. Quotas do not mean people are hired for one thing, but for a match of your skills and for the value they will bring to the company. Quotas not only help to overcome our unconscious biases but it encourages us to create new networks, new criteria and build trust with new communities. 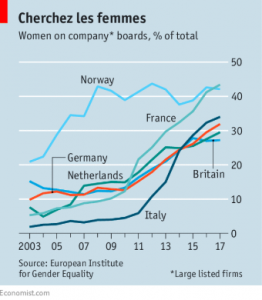 One example of an entire country who implemented quotas is Norway. The country passed a law in 2003 that requires 40% female representation in leadership board. The female diversity jumped from 7% to 40.3% in seven years. Another example of successful implementation is Lesbians Who Tech, a global community of queer women in tech. They implemented quotas for their event speakers as: 50% had to be women of colour, 10% had to be non-binary and trans and 20% be black or latin. Today Lesbians Who Tech promote the biggest LGBTQ business event in the world. Diversity training is a great initiative for any business and it has all the potential to improve employees ideas and attitudes. However, it does not necessarily increase the rates of diversity. Like any other training, diversity programmes requires maintenance and must be part of the company’s culture in all aspects and levels. If you thought about doing a once-off annual special event, it won’t work. The message needs to be delivered and exercised regularly. A good tip to keep employees motivated is to vary the method of training. Mastercard opted for a holistic approach to innovate their global business strategy towards diversity that includes educational initiatives, hiring practices and work benefits. One example is the program Girls4Tech that mentors 10-13-year-old girls in STEM programs. Another great project is“YoPros” BRG (the Young Professionals Business Resource Group) that offers Social Media Reverse Mentoring to older employees. They also provide flexible arrangements for female professionals. In 2017 the company had 40% female workforce. Mastercard is recognized today as one of the leading companies for Diversity and Inclusion. Empathy is the ability to put ourselves in another’s position to understand their feelings and point of view. To be effective on diversity matter, it’s important that leaders develop an empathic mindset. People should trust their leaders and know that they care. Give your time and attention to colleagues who want to support diversity. Balance the time you spend supporting others. Spread responsibilities evenly across your organisation. Listen to all complaints about bias or discrimination. Take a stand against inappropriate behaviour. Look for diversity beyond skin colour and gender. Foster open, candid conversations with and among your colleagues. Assume that you will need to educate the majority. Educate yourself about unconscious biases. When unsure, ask for help. The leadership team must have the sensitivity to listen to complaints about bias and, more importantly, do something about it. Our passion for diversity is built into the very foundation of our technology. We developed anonymous profiles to ensure people and companies are matched based on the most relevant skills required, removing some of the unconscious bias from the process. Implementing an effective diversity strategy can be time-consuming and expensive. Hiring with Abodoo ensures your company is one step closer to attracting and achieving a diverse workforce. Try it out by posting your jobs for free and watching your skilled matches roll in!